JAMES D. HOPKINS. - James D. Hopkins, born in the city of Springfield, January 28, 1861, pursued his education here between the ages of seven and fourteen years, attending the public schools for six years and a private school for one year. In his early boyhood days he earned his living by working as a delivery clerk in a grocery store, being thus employed for three years. In his youth he also served as the first page in the new state capitol at Springfield. He afterward learned photography under the direction of his brother-in-law, A. W. Kessberger, who is proprietor of one of the leading studios in this city. Professor Hopkins spent three years there and then accepted a position in the Illinois Watch Factory, where he remained continuously from 1880 until 1890, with the exception of a period of one year spent in Kansas, during which time he devoted his attention to the teaching of music. While in the factory he had a number of pupils in music. He was the first member of the Illinois Watch Factory Band, and indeed was practically its organizer. He has been the organizer of many bands and musical societies, including the Juvenile Band of the city of Springfield. He has bene the leader of the Springfield Juvenile Band, the Ide Engine Works Band, the Fourth Regiment Band and was also the leader of the First Cavalry Regiment Band during its entire existence. He has been engaged as special performer with the Pullman Band of Chicago and of Pullman, Illinois, and with DeMolay Band of Bloomington, Illinois, and Goodman's Band of Decatur, Illinois. He organized the Hopkins stringed Quartette, the Young Men's Christian Association Orchestra, the orchestra of the German Methodist Episcopal church, with which he was connected for twelve years, the orchestra of the Christian church, with which he was connected for two years, and the orchestra of the First Methodist Episcopal church, of which he has been the leader for four years. He also organized the DeKoven Orchestra, the High School Orchestra, composed of young ladies of the high school, and the Springfield Ladies' Orchestra. In addition to all these he has been a member of the orchestra at Chatterton Opera House for about twenty years, and is often called from the city to furnish music on special occasions. He also was professor of music in the Springfield Conservatory of Music during its existence. He first had his studio over Bales' drug store at the corner of Cook and Spring streets, and later located at his present residence at No. 933 South Second street. He now has from fifty to eighty pupils. The Hopkins family is well known in musical circles throughout Sangamon county and Illinois, their talent gaining them prestige as representatives of this art. It is said that the poet is born and not made, and this truth is equally applicable to the musician. His talent must be a native one, although its development and growth are due to continuous and earnest study. Professor Hopkins inherited his musical ability from his mother, and she in turn from her mother, who in her maidenhood was Miss Barker, one of the leading soprano singers of Boston, Massachusetts. From his earliest boyhood days Professor Hopkins has been a performer on many musical instruments. When a mere lad he earned his own clothing by his performances as a musician. As the years have advanced he has met with success through the exercise of his native talent and powers and is now comfortably situated in life. He teaches all kinds of instruments and many of his pupils have attained great skill and some considerable fame. In Springfield, on the 19th of July, 1892, Professor Hopkins was united in marriage to Miss Jennie Zumbrook, who was born and reared in Springfield and is a daughter of Frederick and Louise (Harter) Zumbrook, who were natives of Germany. Mrs. Hopkins is highly accomplished in music, and their son, born September 12, 1897, has inherited the musical taste and talent of his parents. He is named Don Elsner Fredrick Hopkins, for the musician, Don von Elsner, of Bloomington, the brother of "Litta" von Elsner, a noted vocalist. When only eleven months old Don Elsner Fredrick Hopkins gave every indication of understanding music by sound, and today, at the age of six years, he can play his own accompaniment on the piano as he sings. He also plays a toy piccolo, while his father accompanies him on the piano. He is certainly a musical prodigy and is the pride of his parents. They also have a little daughter, Elsie Louise, born June 23, 1903. Professor Hopkins is a member of the Modern Woodmen Camp of Springfield and he also belongs to the Methodist Church. He is the leader of the orchestra in its Sunday school and the music has been a very great factor in the upbuilding of the school. [S4624] 1920 US Federal Census, Springfield, Sangamon County, Illinois, digital image Ancestry.com ; National Archives micropublication, Augustus Kessberger head of household, Precinct 27, roll T625_4067 enumeration district 145, page 4B. [S4353] Find A Grave: Oak Ridge Cemetery, Springfield, Illinois, Elsie C Kessbergerl, created by Charles W Brown; BjJ, added Sep 2008, memorial number 29856217. A. W. KESSBERGER. - A. W. Kessberger, ranking among the leading photographers of Central Illinois and conducting a studio in Springfield, was born August 6, 1862, in this city, his parents being August and Christiana (Hagedorn) Kessberger, both of whom were natives of Germany. The father was born in Weisbaden, Germany, October 21, 1835, and in 1853 he crossed the Atlantic to America. His wife was born in Arenheim on the Rhine, October 12, 1839, and sailed for the new world in 1854. They were married in Springfield on the 26th of September, 1861, and became the parents of the following named: A. W., of this review; William; George Philip; Edward; Bertha Lois; and Dorothy M. They lost two children, Clara and Henry. 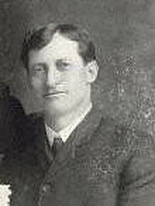 Reared in the parents' home, A. W. Kessberger acquired his education in the public schools and in the high school of Springfield, but when in his senior year he put aside his textbooks. He was also for one term a student in the business college here. Choosing photography as a lifework, he studied under a well-known artist for about six years. He early displayed marked artistic talent, and when only fourteen years of age he made pen-and-ink maps for the Centennial Exposition at Philadelphia, on which he won first prizes, the size of the drawings being thirty-six by forty inches. He also has a picture which he made October 10, 1877, of an old castle on the Rhine and many evidences of his art adorn his home. In his boyhood days he was apprenticed to learn the blacksmith's trade with his father, but his desire for work along artistic lines and his evident talent therefore caused his parents to give him the opportunity of mastering photography, and this profession he has followed for many years. He was first connected in business with Mr. Halliday, under the firm name of Halliday & Kessberger, a relation that was maintained for ten years. He next entered into partnership with Victor George under the firm style of Kessberger & George, and they conducted their studio for five years. In August, 1902, Mr. Kessberger opened a studio at No. 419 and 421 East Adams street, where he has since been located. It is splendidly equipped with every modern accessory known to the photographic art. He has arrangements whereby he can take very large pictures or groups and he is continually studying along lines that have made marked advancement in his work until he stands today as one of the most able representatives of his chosen calling in central Illinois. On the 21st of October, 1884, Mr. Kessberger was united in marriage to Miss Gussie Leona Hopkins, who was born at the old family home on the 16th of April, 1864, the thirteenth child of a family of fourteen children. She was educated in the public schools and is a daughter of Captain Caleb and Elizabeth (Dennis) Hopkins, mention of whom is made in this volume. Unto this union have been born five children: Minnie Leona, Mabel Irene, Elsie Christine, Clara Augusta and Lawrence August. This son is the only direct male descendant of the Kessberger name in America. The children are being provided with excellent school privileges and are also quite accomplished in music, inheriting taste and talent in this art from both the Hopkins and Kessberger families. Mr. Kessberger is a member of the First Church of Christ, Scientist, and his children are believers in that faith. He belongs to the Masonic fraternity, in which he has attained to the Knight Templar degree, and he is also connected with the Independent Order of Odd Fellows and the Knights of Pythias. Prompted by laudable ambition and love of art, he has so directed his labor in the line of his profession that he stands today among the most prominent artists of his native city, and through his persistent and earnest effort he has won success that makes him one of the well-to-do residents of Springfield. [S4654] Cook County, Illinois, Deaths Index, 1878-1922, online index database, digitized by The Generations Network Inc, 2011 www.ancestry.com. (Original publication: Illinois Department of Public Health Division of Vital Records, Springfield). 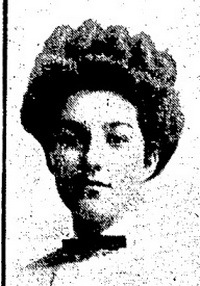 Died at 11 a.m. Saturday, July 19, 1908, at the residence of her parents, at Capitol avenue and Spring street, Miss Elsie Kessberger, aged 18 years and 1 day. The funeral will be held tomorrow afternoon at the residence. The interment will be made in Oak Ridge cemetery. The death of Miss Kessberger was caused from numerous poisons in water which she drank by mistake July 4. She had been mixing colors in a glass and left the glass in her room. During the night she was thirsty and drank from the glass by mistake. The following day she was ill and her condition grew worse. Physicians were summoned and used every effort in combat with the effects of the lotion, and for a time it was thought she would rally from the illness. Miss Kessberger was removed to the hospital, but desired to be at home, and was again taken to the family residence. For days she lingered, and would rally temporarily and would then have a sinking spell. In spite of the constant medical attendance at her bedside, her condition was such Friday night that all hope of recovery was abandoned, and the end came yesterday morning. Probably no girl of her age in this city was better known than Miss Kessberger. She was born and reared in this city and attended the public schools. She also attended the High school and the Bettie Stuart institute. The decedent wsa a musician of note, and her talent in drawing was also noteworthy. She loved art and her work in water colors was commendable. She had also made a number of friends in this city.